Details about BATTERY CHARGER SCHAUER CM12A 12V 1,8,12 AMPS MULTI STAGE SMART DESULFATING EA. 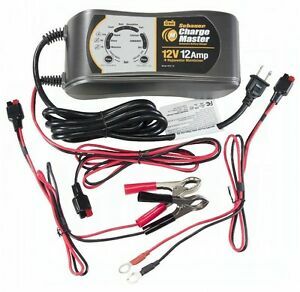 BATTERY CHARGER SCHAUER CM12A 12V 1,8,12 AMPS MULTI STAGE SMART DESULFATING EA. This charger claims it can detect and charge batteries in various conditions and desulfied them. I took batteries with known conditions and this charger failed to diagnose the battery condition. It won't charge a low voltage battery. I have yet to see it detect a battery which needs to be desulfied and I had to bang the case to get the internal fan to work. Go buy the HF battery charger, the red one they put on sale all the time, or build your own desulfieder, plenty of information on the Web.